The Elite Endless Pool is a counter-current swimming machines that is revolutionising the way in which swimming is taught and coached. The Elite offers a unique, industry-leading opportunity to analyse and document every aspect of the swimmer’s technique. Multiple adjustable cameras and mirrors gives the swimmer and their support the ability to see exactly ways in which they can improve. 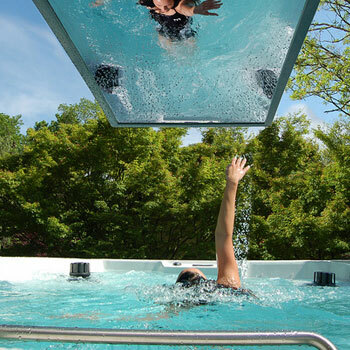 The Elite Endless Pool utilises a 7.5-hp motor to create a :56/100 metre pace that is the fastest, smoothest swim current available. Two custom-designed propellers ensure that even the best swimmers face a challenge! Coaches can offer advice and guidance easily to their students, something they’d struggle to do in a public swimming pool. The custom designed outlet produces a flow of water that is wide, deep and smooth, producing an ultra-smooth current.